This is the Bible’s blueprint for Church – an exciting vision of a community of faith, full of the love of Jesus and empowered by the Holy Spirit. But is it possible? Church history and our own experience tells us that often in the last 2000 years the Church has failed to bring Christ’s message to His world. But there are also many examples where the Church has shown that what the Bible claims about Jesus is true – and that His message of love, forgiveness and salvation really works. Acts 2 tells us the kind of Church that Jesus wanted to build, and I believe that it is the Church that He wants to build here today in Swanage. I also believe that this is not an unrealistic aim – it is achievable by the grace of God, with the love of Jesus and in the power of the Holy Spirit. Of course All Saints will just be a part of that plan. What we need to do is to ask the Lord where we fit into the jigsaw - to ask Him what He wants us to do to enable Him to build an Acts 2 Church right here in the Isle of Purbeck. And then do it. When I was interviewed to be vicar of All Saints I was asked by the Archdeacon where All Saints would be at the end of five years. My reply was that I hoped we would be larger – and also younger. And for the church to have put together a plan for the first five years – to have accomplished most of it – and then be putting together a plan for the next five years. So welcome to what we hope will be the next five years at All Saints. Why do we need a new Vision Strategy for All Saints? Whatever we plan to do in the future will be based upon the foundation already laid – the story of a community of believers stretching back almost a century seeking to build the Kingdom of God in this part of Swanage. But we need a new Vision Strategy because the world is changing. The Gospel and the faithfulness of God doesn’t change. But we know that the world has experienced radical changes in the last century. In Swanage we may feel insulated from many of these changes. But a glance at the congregations in any of our churches clearly shows that we are losing the next generation. And yet this is also an opportunity for the Church. Many now accept that our society is broken and sick and needs repairing. And we know that the love of God in Jesus Christ is the only solution that really works. Just as the Holy Spirit impacted the Roman Empire of the First Century through the Early Church, then surely He can do the same through us in the Twenty First Century. But we need a plan. Jesus’ instruction in Matthew 28.19 is to ‘Go’ - so whatever we do is likely to involve the risky step of taking Jesus’ message outside our safe environment and presenting it in a culturally relevant way. This Strategy is not so much a precise blueprint but a focus for the future - a clear set of objectives against which we align everything we do – and against which we can measure our successes - and failures, because we won’t get everything right. We know that we won’t achieve everything we want to in the next five years – but we need to know clearly in which direction we are heading. All Saints – who are we? A medium sized church – we have connections with 231 people with an average weekly attendance of 111 drawn from 153 adults and 23 children (our ‘core’ membership). Above average age – the average age in Swanage is 48. The average age of All Saints is 60. As we grow older some of us may be more resistant to change. But not changing is not an option for us if we want to survive. Evangelical – in other words we believe that the basis of the Christian faith is a life-changing personal encounter with Jesus – and we have a desire to pass on this message to others. Biblical – because we believe that the Bible is God’s inspired word to us, it is the basis for all our teaching and the authoritative standard for all we do as a church. Spirit filled – we have a growing understanding of the person, work and gifts of the Holy Spirit as Jesus’ way to empower His Church for witness in the world. Anglican and ecumenical – many of our members have been ‘CofE’ all their lives. About the same number are from different church backgrounds (or none). 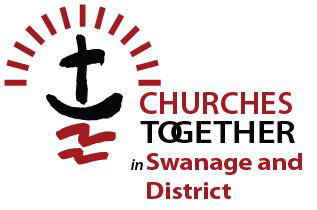 We also have very close links to other churches – so we need to work with the whole of the Swanage church family to bring the Kingdom of God in our town. A healthy church – in the Healthy Church survey All Saints scored highly on ‘loving relationships’ and ‘passionate spirituality’ (but we scored rather lower on ’gift based ministry’ and ‘need-orientated evangelism’). All Saints – what do we believe? It is vital that we agree as a church on the key elements of what we believe about the Christian faith and how it is to be lived out. On the back cover of this booklet is a statement of our Core Beliefs. What does God want us to do and how are we going to do it? These aims have two implications. A culture of change - firstly these aims are comparative – they are ‘er’ words. But unless we do something different to what we are doing now we will stay the same. So as a church we must embrace a culture of change - which will be hard for some of us. But the last 50 years have shown that churches which refuse to allow God to change them do not stay the same – they decline. But churches willing to allow the Holy Spirit to change them grow. Aligning our actions to those aims - secondly all we do needs to be aligned to those 5 key aims. If what we plan to do doesn’t further one of those aims or damages one of the others then we don’t do it – it is as simple as that. Prayer is vital - the rest of this Vision Strategy looks at how we can become a Larger, Younger, Deeper, Stronger, Wider church by Loving, Learning and Serving Together – if we can do that we will truly be an Acts 2 church. But none of this can be accomplished without prayer (there is more about this in the ‘Deeper’ section). 1. Getting equipped – we must identify our gifted evangelists and form them into an Evangelism Team chaired by the vicar to spearhead evangelism. But the plan is to empower everyone to get involved – so we must all be prepared to step out of our comfort zones - with training being available to build confidence. 2. A growth strategy - to aim for 2 large services each Sunday morning in 5 years, with the growth primarily from new Christians. Evangelism must be ‘Needs Orientated’ - so the Evangelism Team must establish the needs of the area. Working with Coffee Pot and the Toddler Group –great opportunities to connect with both older people and young parents. A much greater focus on positive community engagement – so we are known as a church which gets ‘stuck into’ community events. To encourage individual members to invest time outside church and to celebrate this inside church. Going outside the church walls for at least three open air events next summer. Helping new Christians become committed disciples – All Saints is full of experienced disciples who can disciple others – expect to be asked! 7. Looking at our building – to explore how to give it a more comfortable and contemporary feel and work out how to use it to bring in people throughout the week. 8. Welcoming visitors/new members – All Saints is already a very welcoming place but we can do even better - a welcome team, welcome packs, coffee at the back of the church, an attractive website. 9. Reviewing our services - our services need to attract those who would not otherwise come to church – so they must be culturally relevant (ie relevant to the culture in which we find ourselves). There is a very definite place for liturgical and traditional worship at All Saints. But the evidence is that church growth mainly comes where worship is contemporary and informal – because unchurched people find it easier to access more informal worship. So our main Sunday services need to reflect a predominantly informal and contemporary style but with space for traditional hymns – and no jargon! We want All Saints to become a younger church. This does not mean we do not value the older members. But we urgently need to connect with younger people and their children – the question is how? A change in priorities - firstly we need to change our focus. If we look at growing churches around the country one of their key concerns is to reach younger people. That does not mean that we change All Saints into a youth church. But young people need to feel that All Saints is also ‘their’ place’ and reflects their generation. This means that older members will need to embrace changes we might not naturally choose. It’s a big change – and a sacrificial one. But it is essential if we are to survive and grow. The Toddler Group – this is a great way of introducing people to church - we need to undertake a thorough review of timing to consider if Toddlers might work better at a different time with different activities. We might include a short devotional element to Toddler Group and some special services in church for events such as Christmas, Easter and Harvest – and to pray more children (and their parents) into the Toddler Group. 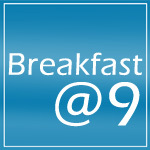 the Hall, serve breakfast, and then have a very informal time with a short talk, guitar led worship and a craft activity. The success of Warriors is a tribute to the talent and skill of Lindy and her team of helpers. But we need more helpers and also need to look at engaging a children’s worker to assist Lindy. The young people’s band needs to be encouraged to play in church as often as they are able. 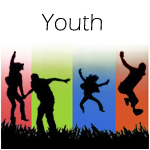 We should develop an ecumenical youth evening service once a month meeting in different churches. We should aim to identify and train up a youth preacher. Finally we should tap into the experience of older people to act in a mentoring and supportive role to younger people. The key All Saints young people’s leaders need to meet as a Youth Team on a regular basis. We also need a group praying for Toddlers, children’s work, youth work, schools – if we don’t pray for our young people’s work we can’t expect the Lord to bless it. Our aim as Christians must be to come to know Jesus better, strengthen our relationship with him and to experience his work in our lives. Churches which grow give a high priority to sung worship – but should it be contemporary or traditional? To attract younger people we need to embrace contemporary music enthusiastically. But while we have one main Sunday service we need a mix of contemporary and traditional music - inspirational hymns and contemporary worship played and sung well. We also must enthusiastically support ‘Purbeck Evening Praise’ and ‘Monday Night Worship’ – with no All Saints events clashing on those evenings. Appoint a ‘Prayer Pastor’ to encourage us all in prayer. As a church to pray and fast one day each month. To set up an intercession group combining prayer and worship in a much more prophetic approach to prayer. To learn more about prayer from other more experienced churches. Focussing the whole church on prayer for a limited period eg half nights/weeks of prayer. 24/7 prayer as All Saints or as Churches Together. Being involved in a Swanage house of prayer. In-depth study of the Bible on Sunday evenings or midweek in a way not possible on a Sunday morning. A monthly training session to replace home groups covering big issues of concern – please tell us what you want to learn about. The opportunity to ask questions and delve into the Bible passage for the previous Sunday in home groups. 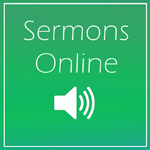 A preaching group so that we can look at each other’s sermons and aim to do even better. To identify those called to ordained and lay ministry – aiming at least 1-2 people being trained in the next 5 years. 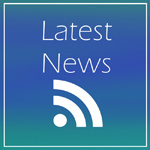 We also need to train our own leaders – by running the CPAS ‘Growing Leaders’ course in 2012/13. God’s way of empowering us is through the Holy Spirit (Acts 1.4, 8) – so churches which actively engage with His ministry are the churches which grow. We must make space for the Holy Spirit in our services seeking to move in spoken gifts – words of knowledge and wisdom, prophecy, tongues and interpretation - in the ministry time after the sermon and in sung worship. And we must pray and ask the Lord to increase the numbers being healed and converted through the power of the Holy Spirit – and to raise up people with particular gifts of healing in our church. Within 5 years we should aim for the Holy Spirit to have complete freedom to move in our midst and for the full range of His gifts to be available and used amongst us – but in an orderly way which honours the Lord and does not alienate those we are trying to attract to Jesus. In All Saints probably about 60% of our regular members are involved in some form of active service within the church – but it would be great to increase that even more – to 90% plus. We need to help each other work out where God is calling us and how he is gifting us – so we are running a SHAPE course in early 2012 designed to do just that. God does not only call us to serve within His Church but also in His world – so we need to ask God what we have been equipped to do as Christ’s representatives – as his hands and feet - and be encouraged in that calling by the church family. Jesus told us to make ‘disciples’ of all nations (Matthew 28.19). That means that we are all engaged in a process of life long learning. In addition to our regular teaching programme a key element in this process is membership of a home group - home groups have proved time and again to be the antidote to ‘armchair Christianity’. We also need to look at a discipleship course which is a valuable aid to encouraging personal discipleship – we aim to offer ‘Freedom in Christ’ or a similar course as a regular rolling programme. We need constant exposure to the Bible as the written Word of God. So each December we will encourage a different Bible reading programme for the following year. The aim must be for all of our committed church members to be reading the Bible daily. We want to encourage everyone who feels able to link up with another member of the church (or someone from outside) as prayer partners or triplets to whom they can be accountable and both encourage and draw on the strength of other Christians in their spiritual walk. Setting this up would be the responsibility of the Prayer Pastor. All Saints people are exceptionally caring and welcoming, to those inside and outside the church. What follows are suggestions for strengthening what is already a very strong network of relationships. The pastoral scheme – is working well but will need additional helpers as the church grows. Home groups – about 40% are involved in home groups – our aim in 5 years should be to double that. Getting to know each other - we also want to know more about each other by an expanded photo board at the back of the church and a ‘Who’s Who at All Saints’. Another way to get to know each other is to interview people in the services about their ‘day jobs’ – to tell us what they do outside church and pray for them. Hospitality – this is All Saints’ most amazing spiritual gift. Acts of spontaneous hospitality happen all the time without the vicar having to ask! The church lunches and shared lunches are a real success. And we need to encourage those outside the church to join us. Events – events are another real strength of All Saints and a way to make our relationships stronger, draw in outsiders and raise money for good causes and key projects. We need to encourage these more – anyone with a vision, go and offer it to the Events Committee! Church weekend away – these can bring a church together like nothing else. We should aim to have a weekend away in 2012 or at the latest 2013. Conferences – attending conferences as a group and then reporting back to the church on what God has done is a key way to draw the church together. Establishing a Care Team whose first task is to identify the kind of ‘mercy’ ministries relevant in our area and those in our congregation who can help. Encouraging more people to offer themselves as Lay Pastoral Assistants. Using the church freezer to bless those in need. Celebrating, supporting and praying for people who give of themselves in care and support of others. In the next 2 years to examine carefully the ways in which we can equip our building for community use (perhaps for after school or holiday clubs) – a key requirement for this will be stackable chairs and a new floor covering. Looking at imaginative ways to support those under pressure at all stages of life, those with young children, teenagers and the elderly. 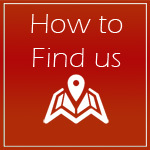 Finding ways to connect with the needs of unchurched people and asking what they want prayer for – for example by prayer on the streets or door to door. To sum up, how about these goals for the next 5 years in All Saints? Christ-centred - We believe in the good news that God so loved the world that He sent His one and only Son, Jesus Christ who became a man, died on the cross and rose again so that through him our sins can be forgiven and that we can live eternally with God. Biblical - We believe that the Bible is the inspired and authoritative word of God containing the truths which underpin the way we aim to lead our lives. Spirit led - We believe that we live in the age of the Spirit as the church of Jesus Christ, and that we must be open to, empowered and led by the Holy Spirit. Leadership that is visionary, courageous, humble, consistent, full of faith, and releases church members into their God-given vocation. Inspiring worship that is passionate, intimate, culturally relevant and brings people into an encounter with God. Bible-based teaching and training that is challenging, relevant, and equips for everyday life. Being a local church that is welcoming, inclusive, accessible for all generations and builds family and community life. Encouraging all members to discern their God given vocation and express God’s love through the gifts and power of the Holy Spirit.